We have been in business since January of 1994!! 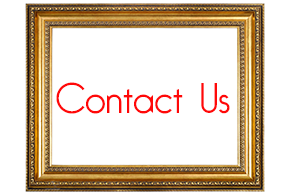 Our custom frames and mirrors are designed to your specifications, bringing beauty and protection to your photo, artwork, diploma, or other memorabilia. We make your design ideas come to life in artistic pieces for your home or office. To keep your prized keepsakes looking beautiful for years, we also offer complete frame and mirror repair, glass repair, and replacement. We have experience framing a variety of items, from traditional artwork, diplomas, and portraits, to complex 3-D objects. We stretch oil paintings to preserve them well into the future, design and build custom mirrors, and sell a variety of ready-made beveled and traditional mirrors. The Finishing Touch maintains an extensive inventory of samples, supplies, and work with many different materials to preserve your valued treasures. Our business is located in Rochester, NY. Stop by and browse our art prints, posters, and framing options, or complete the online form to request a consultation with one of our experienced framers.